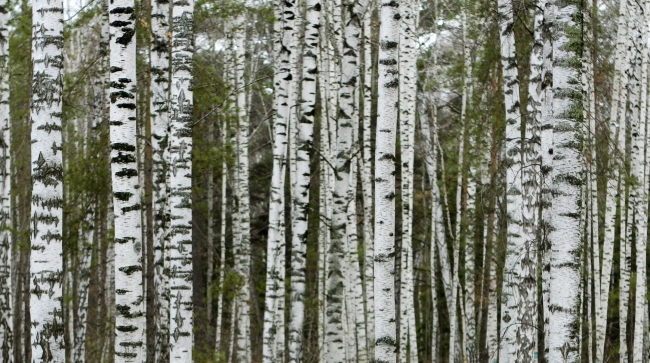 This short survey is based on the information provided by 9 software development companies based in Novosibirsk, Russia. Some of these companies employ over 100 software developers, while others do not exceed 40 employees. The majority of these companies export software development services abroad. Three participants of the survey provide outsourcing services to the local market. Salaries of system administrators and technical support personel have seen the highest growth – up to 60 per cent. An important reason for this growth is the employment of more experienced specialists who demand higher salaries. The importance of experienced technical support specialists and managers has also grown, which can be seen from the salary growth rates between 40 and 50 per cent. Ordinary support specialists were less fortunate: their salaries have risen on average by 25 per cent. Testing managers have seen their salaries rising by 55 per cent, whilst salaries for test specialists have grown by 16 to 25 per cent depending on the work experience. 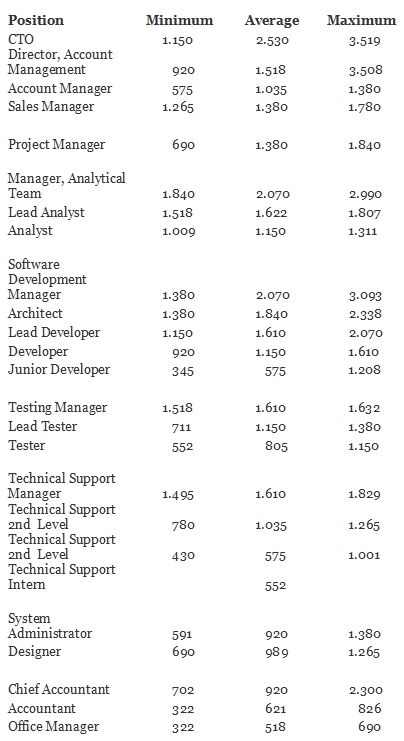 At the same time, the salaries of software developers have not changed over the past six months, presumably because any further increase would compromise profitability. The spread of salaries for analyst positions has narrowed down; salaries paid to such professionals are similar for most of the surveyed companies. To sum up, the highest growing salaries are in the support area in the software development industries, and the managerial talent sees the highest income growth. The figures below are monthly net salaries in Euros. To arrive to the gross salaries an employer must add 15 per cent. To calculate total cost of employment, the employer must add 26 per cent or 34 per cent social insurance tax, depending the taxatioin methods used.